Το iPad αποτελεί μοναδικό εργαλείο για τις σύγχρονες μαμάδες. Με τα κατάλληλα apps μπορεί να βελτιώσει την καθημερινότητα και να τις κρατάει σε επαφή με οικογένεια και φίλους. Σας παρουσιάζουμε κάποια πολύ καλά apps τα οποία μπορούν να βοηθήσουν τις πολυάσχολες μητέρες. Εάν είστε μητέρες τότε αυτή η iPad App λίστα είναι για εσάς! My Pregnancy PRO HD is a great app for mothers to be. It lets you know, by factoring in your due date, what is happening with your baby as it grows. It also lets you know what to expect as your body changes with the growing child. Easy to navigate and a great resource, My Pregnancy is a must have app for pregnant women. Congratulations! You are now a mother! New moms are easily overwhelmed by both the joys and tasks of caring for an infant. The best way to ensure that your baby is thriving, while you are sleep-deprived, is to keep records of feedings and other care. Baby Timer is an app that is a godsend to new parents. It has a simple to use interface that allows you to record feeding time and amount, sleep, diaper changes, and more. As a parent, this easy to access record is vital to catching illness early as well as providing the information your pediatrician will need on every visit. Baby Timer would make a fantastic baby shower gift. The app is also universal. New and experienced mothers often seek the advice of other mothers. But what if it is the middle of the night or you are home alone? The app allows mothers to post questions to the Mommy Help Desk where they will be seen and answered by other mothers. This app is easy to navigate and is a good resource for non-emergency parental advice. There was a time as a mother that I was in awe of those who could keep their houses so perfect while raising children. It seemed like I could never keep up with the clutter and mess. Then I learned the secret: nibble away at house work in tiny 10 minute segments. WorkHomeRoutines breaks down household chores into manageable, scheduled zones which are easy to complete. Following the famous Fly Ladies routines, the app has sections that require a short time to finish — such as "Cobwebs in Den" — and allows you to check off each as done. You also can add in your own chores as needed. HomeRoutines takes the pain out of housework and makes sure that busy parents are not overwhelmed. If you cannot afford a live-in maid, treat yourself to this app. It is worth every penny! The home is under control, the baby is growing. You and your significant other will both want this free, universal app to help you stay coordinated. Features include shared calendars, shopping lists, to-do lists, and even a family journal. Keep the entire family in sync with Cozi Family Organizer. Even with the home in order you need to plan meals. So what's for dinner? Need some inspiration? Epicurious is a free, universal app filled with over 30,000 recipes. Filter recipes by course, ingredients, or dietary restrictions. 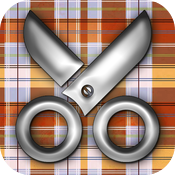 The app also includes a shopping list feature which syncs with your iPhone. This app can be a lifesaver in times of culinary need. If you are seeking a way to simplify dinner even more, Paprika Recipe Manager allows moms that already have their own favorite recipes to add them to their cookbook. Need more recipes? No problem! Just search for some new favorites with the in-app browser and directly import them into your recipes list. Recipes display a lot of detail, such as prep and cook time, full list of ingredients, prep directions, and more. In addition, Paprika also doubles as a shopping list manager, so you can make sure you grab all of the ingredients you need for your next amazing meal. In fact, you can plan out an entire week of meals, and you'll get an automatic shopping list for all of the ingredients for every recipe. It also comes with a syncing service that works with multiple devices, as well as the iPhone and Mac version of the app (sold separately). So your baby is growing into a toddler. Toddlers are full of fun, but this is the age where you need to gently teach them proper behavior. Enter iBehave: an iPad app that is fun for kids of all ages to earn points for good behavior. The app is simple. 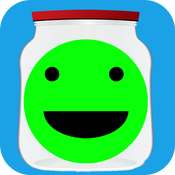 You determine the goal for your child and let them drop point balls into the jar. If they misbehave you can remove point balls. It is a great app for teaching your child to control themselves and get rewards. Your child is entering school. What about the school bully? What if your child is caught lying? This wonderful app, You Can Handle Them All, was written initially for teachers as a guide to dealing with behavioral issues with students, but it is an invaluable reference for parents as well. It is easy to search by behavior, such as "Talks Back" or "The Bully," and then learn the reason for the behavior and how to best correct it. There are over 124 behaviors included and each one lets you know both the best strategy to stop the behavior as well as mistakes to avoid that will only intensify the problem. This is a must have for any parent for not only their own children, but to help understand your children's friends and classmates. Mothers need to stop and reflect. It is important to take a break from daily routine and focus on the positive. Gratitude Journal is a way of recording all that you appreciate in your life. Part diary and part self-therapy, this app is important to help keep life in perspective. Traveling is a big part of modern parenting. Are you going on a family vacation or want to take the soccer team out for pizza? With Navigon installed on your iPad, you will be able to make it to any location without trouble. Navigon allows you to pre-plan your long trips, while offering the ability to find the best local pizza place in seconds. It provides full turn-by-turn instructions so you can keep your eyes on the road. Other features include large map views with lane guidance, direct access to your address book, and so much more. Movies are a great source of family entertainment. Unfortunately many of the movies that are out have inappropriate scenes. Information is a mother's best friend, and learning about the inappropriate movie scenes ahead of time is a godsend. Kids In Mind - Movie Reviews For Families lets you know, in detail, of any foul language, sexual scenes, and violence in movies. This way a mother will know to either not take their child or will be able to discuss with them any questionable content if they do go to see a certain movie. We love this app! Entertaining the kids is great, but mothers also have to clothe them and get other supplies. Forget waiting for the paper to arrive in the mail to find out about this week's Target deals, because there is an app for that. Target's fantastic iPad app not only allows you to see the best local deals, it also allows you to create a shopping list, find your local store, or just shop online from the comfort of your own home. It also offers a money saving "Daily Deals" section, where you can nab items at their lowest prices — complete with free shipping. Cut down your errand running time with Target for iPad. Children grow up so fast. If you're the keeper of the family photos like I am, you probably keep your photos stored in more than one place. I've used Shutterfly for years as my online backup, and now they have an app for the iPad. 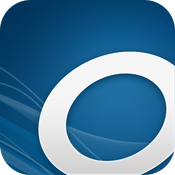 Upload your photos directly to the site, or access the photos you have already uploaded there. Speaking of photos, some moms love to scrapbook their family adventures. Scrap It HD lets you create your scrapbooks digitally with papers, ribbon, stickers, and letter art. You can print out the pages you create, or just share them with your favorite social networks. Motherhood is time consuming, but what else is going on in the world? This user-friendly rendition of the familiar newspaper was made for the iPad. With minimal, unobtrusive ads, you can read the latest headlines plus the expected sections: Money, Sports, Life, Tech, and Travel. Change the font size if desired. Tap notable articles to email, copy to clipboard, or send to Facebook or Twitter. There is also a separate iPhone version; both are free. What better way to spend some downtime than by reading. 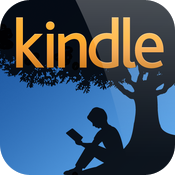 With the Kindle app on your iPad, you will have full access to your collection of Kindle books, as well as the entire Kindle library (via browser) for purchase of new titles. The reading experience on the Kindle is a pleasure to use, making it easy to read without distractions, and progress is saved so you can pick up where you left off. Spend some quality time with yourself, when the kids and husband are away, with the Kindle app on your iPad. Of course, you can also stock it with books for your children, if you're willing to loan them your iPad. Everyone who loves to read should have the universal app Overdrive. This app allows you to tap into many local libraries’ digital book collections. So, now you can read the latest bestseller on your iDevice for free! If your local library allows it, you can even borrow books on Overdrive and actually read them in the more polished Kindle app. If you later decide to buy the e-book in Kindle, all of your highlights, notes, and bookmarks will be saved. Sudoku fans, the Big Bad Sudoku Book is the app for you. This universal app features 50 puzzles with a variety of difficulty levels. The app features swiping to highlight rows or columns, tap and hold on a number to see how many times that number appears in the puzzle, and many more features. One of the most innovative features is a rubbing of an answer to erase it (similar to a pencil eraser). The app is a must have for any Sudoku fan. Scrabble is an app that can truly get the family together for a board game night. 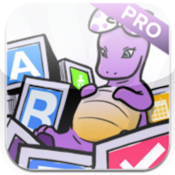 The app features a free satellite app for the iPhone or iPod touch to be used as a tile rack. The tile rack app connects to the iPad and you simply flick what tiles you want onto the iPad and then just play Scrabble as you would normally. 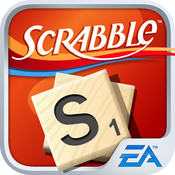 Scrabble is one of the first apps that any iPad owner should install. For the mom that leans more towards the cute and fuzzy games, Birzzle HD is a fun one. 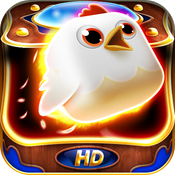 Birzzle HD combines two hot trendsL match-three and bird games. This app will charm you with its adorable, colorful, chirping, popping birds. You can also find a Birzzle for iPhone, as well as free, lite versions of both. It is always good to end the day with a laugh. Pink Dryer Lint is an app that features the writing of mommy blogger Robin Kramer. With a lot of wit and healthy doses of reality, Kramer does not sugarcoat parenting. In a style reminiscent of Erma Bombeck, she invites the reader to laugh with her as the chaos of child-rearing consumes her home. Pink Dryer Lint is for both iPhone and iPad and also has additional casual games and the ability to listen to your playlist while reading. This means we can try to actually use the music to tune out the kids long enough to read. At the end of the day some of us mothers have a hard time unwinding to get quality sleep. This app, Hypnosis - Super Concentration, completely relaxes the body and mind and has allowed me to really get a healthy night of sleep. Used with headphones, Eric Brown gently takes the mind on a mini vacation with the goal of helping to improve concentration and listening skills when you wake. Thankfully, he says that even if you are sleeping, you will benefit from the session. This is great news since I have tested this app every night and have fallen off into a deep sleep long before he starts any therapeutic talk.